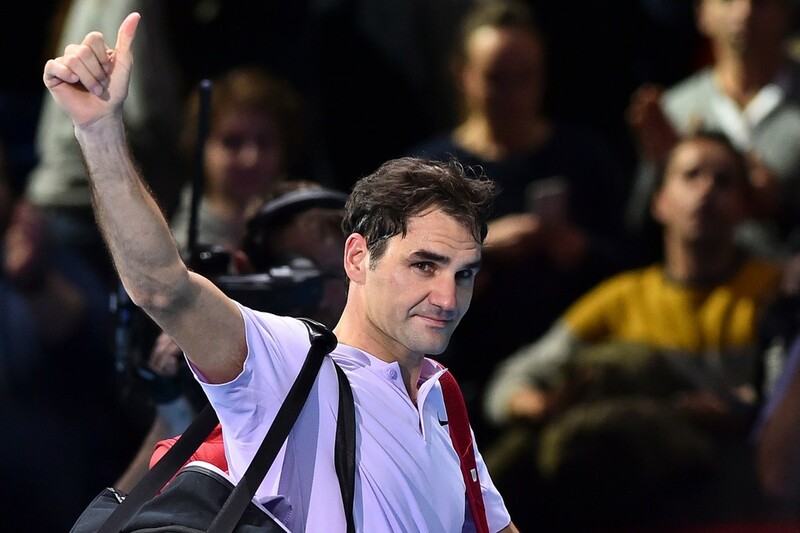 Federer: "It's been an amazing year"
It might not be the finish that he had hoped for, but Roger Federer is taking nothing for granted in his historic comeback season. Federer’s 2-6, 6-3, 6-4 loss to David Goffin in the semi-finals of the ATP Finals might have come as a surprise, but not given the level of play that the seventh-seeded Belgian managed to produce after dropping the first set. Maneuvering Federer around the court with his signature brand of pinpoint counterpunching tennis, Goffin claimed one of the biggest wins of his career just days after defeating World No.1 Rafael Nadal, becoming the sixth player in history to defeat both Federer and Nadal at the same tournament. “I think it was a tough game to get broken at 1-0 for him in the second set. I had I think multiple game chances to get out of the game and go 1-1, keep the pressure up,” said Federer. “I think things really turned around for him at that moment. He started to feel better from the return, from the baseline. He wasn't missing as much anymore. He was returning also much better off the second serve after that. Despite failing to reach the final of the prestigious season-ending event for just the fifth time in 15 appearances, Federer punctuates a season of surprises with optimism for 2018. “It’s been an amazing year for me. I’ve been so happy that I was playing at this level from the beginning till basically the end, till today. So it's been great. Really enjoyed myself in the process. I felt I was playing in a way that I also like, playing forward, playing attacking tennis. I wish I could have done that a little bit more today. It's kind of disappointing to finish on this note,” said the Swiss. “But whatever happened today is less important than if I look at the entire season. With that season, I'm extremely happy. After an injury-filled 2016 that saw him pull the plug on his season early in July that year, 2017 has been a roaring success. Bagging seven titles including two Grand Slams and three ATP World Tour Masters 1000 trophies, Federer’s body held up throughout taxing periods of play that afforded him a high level of consistency throughout the year. “I'm actually very relieved that I was able to finish strong now in Shanghai, Basel and here. It shows that things are in the past now. It's good to know that I can bounce back, you know, and get my confidence back. Winning two Grand Slam automatically shows how well his 2017 was. Looking forward to 2018 season.